In-Place families are necessary for some geometry, in particular the massing environment. I've always stressed that people should start a project without being concerned about site alignment immediately. 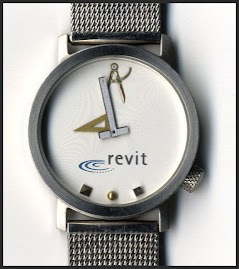 Revit was (is) designed to allow us to adjust True North easily after the fact. As I've written before, just make it easy to "draw on paper". A recent post at RevitForum.org underscores that bias when it asked if the two project orientation tools seem to work differently? Actually it was just focused on Rotate Project North (RPN) and that in-place massing didn't play along when it was applied. Rotate True North (RTN) on the other hand does work. 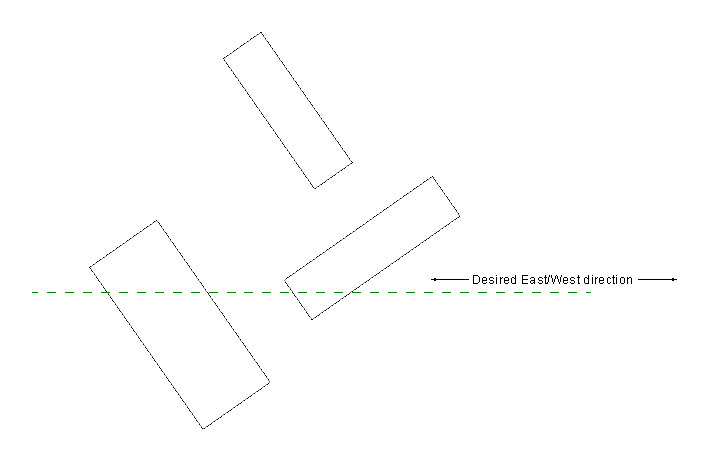 In this image the massing has been created aligned with the "site" but we've realized that it would be easier to document if Project North were aligned along one building edge. 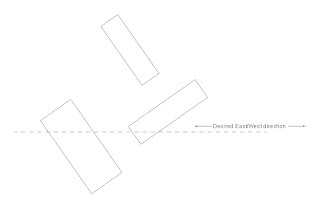 In this image I've used the Rotate Project North and picked the reference plane I sketched to mark the East/West bearing I wanted. 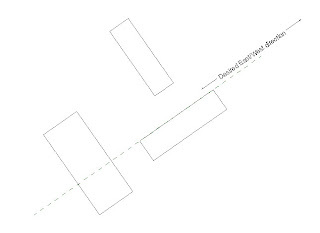 I had to rotate the text but the tool rotated the reference plane correctly but the massing is unchanged. As I wrote in my reply there, RTN is sleight of hand while RPN is really altering the entire model and related views to change orientation. In other words RTN rotates the world under the building and RPN rotates the building on the world. 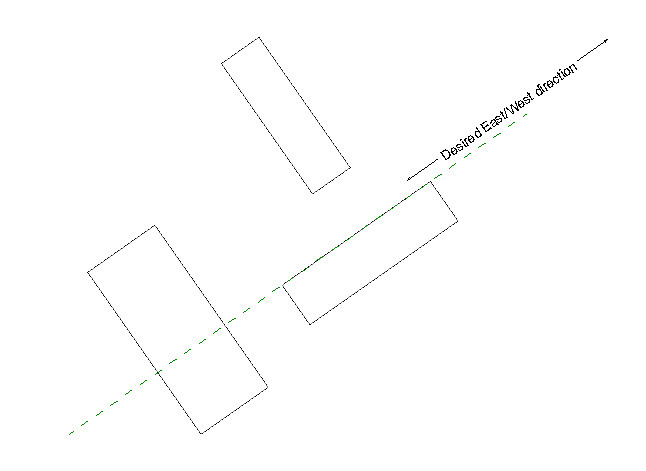 Rotating the world is actually "easier" (less work) for Revit than grabbing every element and everything in every view and rotating it (the building).